It sure has been an eventful few months: With all the twists and turns of the BC election, from the recounts to the cliff-hanger decision by the Lieutenant Governor – it has been almost as intriguing as a season of “House of Cards” yet with far more serious consequences. The most common question I’ve lately been hearing has been about the change of government and what this change will mean to the proposed Kinder Morgan pipeline. Here is a quick update. The most important thing to understand is that the proposed Kinder Morgan pipeline and tanker project is NOT DEAD YET although it is on the ropes. You may have heard that the BC government has refused to issue permits for elements of the project through public lands until more consultation is completed with First Nations. This is a very positive step. Yet Kinder Morgan insists that they will begin construction on their own property regardless of the provincial government announcement. It’s unclear at this time if they will be able to begin construction in the fall, but they plan to get under way at least around their tanker terminal and their tank farm in Burnaby. The other development that you may have heard about is that our new BC government has just been granted intervenor status in the Tsleil-Waututh Nation lawsuit against the Government of Canada to stop Kinder Morgan (which includes other First Nations and concerned parties). This is also a positive step forward, but at the same time, it’s a reminder of how important First Nations legal strategies may be to stopping this dangerous project once and for all. 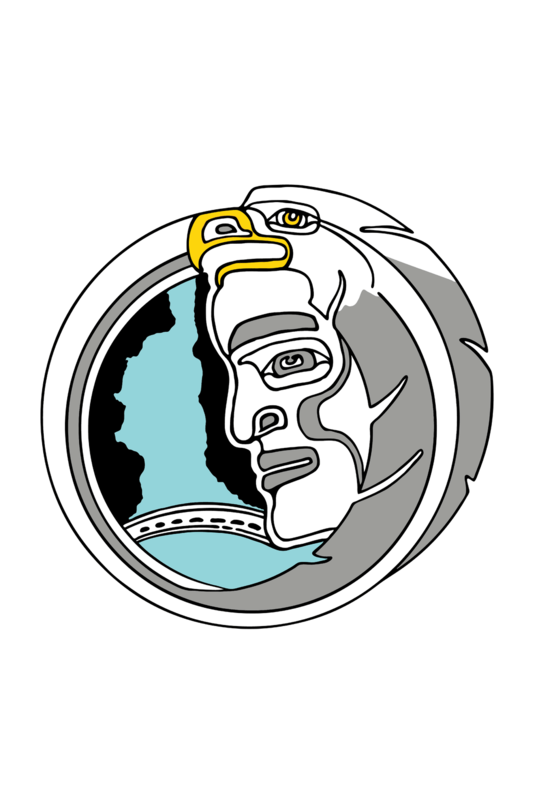 TWN has been receiving great support from a wide array of allies as part of the Pull Together campaign over the summer which helps fund First Nations lawsuits against Kinder Morgan. Big thanks to all of you who helped raise funds and to those who donated. The next court date is early this fall. Stay tuned for further updates as the case progresses. It has been inspiring to watch the many creative things that people have been doing to raise funds through Pull Together. One of my favorite Pull Together activities was the swim around Salt Spring Island that enjoyed the support of an excited Orca who decided to join in not only with the swim but also with a song. Did you hear about that? It was magical. 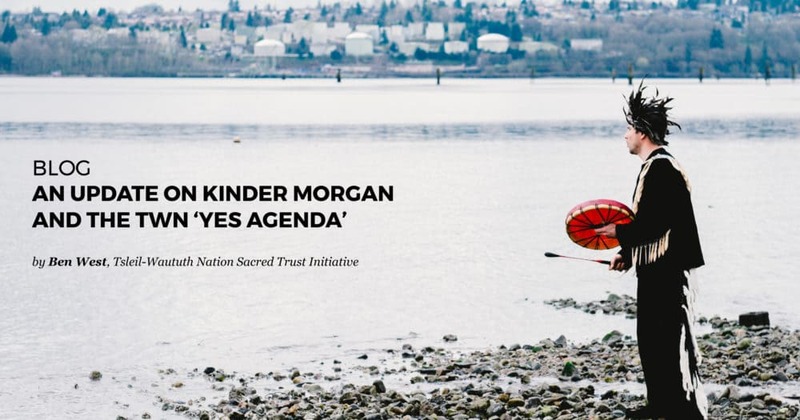 A lot of what you will be seeing from TWN Sacred Trust in the months ahead will be regarding what TWN calls the “Yes Agenda” which means the protection and enhancement of ecosystems as well as supporting renewable energy projects. In short, it’s all about what we should be saying yes to–not just what we are collectively saying no to. This approach is critical to reaching everyone who has concerns but wants to focus on solutions. My personal fundraising contribution this summer has been running about 200km over the last couple months in the midst of a cross-Canada road trip. I’ve been raising money per kilometre to support the new TWN solar project. I’m passionate about this project for a few reasons. The TWN solar project plays an important role in illustrating the choice we have between expanding our dependence on fossil fuels and better alternatives. Located across the Water from Kinder Morgan’s proposed tanker terminal this project is both poetic and pragmatic. Demonstration projects are important because many people do not fully understand the opportunities related to renewable energy today. Given the international focus on this dangerous project, it’s a great opportunity to demonstrate a better way forward. I also love this project because fundraising for a solar project is a great way to make a contribution that will continue to give to the community for decades into the future. Every year that this solar power project produces energy it offsets costs freeing up funds for community programs for years to come. I will continue to run and walk for the TWN solar project until we get the project fully funded. If you want to add a per km pledge, it would be much appreciated. Even small contributions per km add up, and it keeps me motivated to get out there to run further for the cause.